Coal country in Hegang, China, in Heilongjiang Province—one of the nation's poorest regions—could easily be mistaken for Central Appalachia. Much like areas in West Virginia and Kentucky that are struggling with the loss of coal jobs, rural China is experiencing a similar fate. 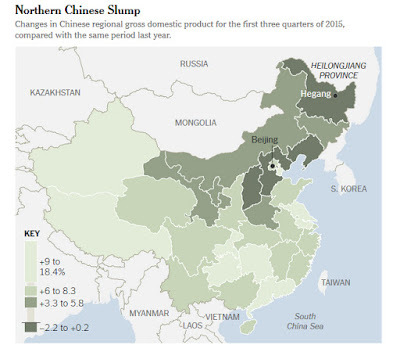 In September, the Longmay Group, the biggest coal company in northeastern China, announced plans to lay off 100,000 workers, Jane Perlez and Yufan Huang report for The New York Times. "The elimination of about 40 percent of the work force at 42 mines in four cities is the biggest reduction in jobs that anyone could recall in this steadily declining rust belt near the Russian border." Nationally, coal prices have fallen 60 percent since 2011. "Longmay has delayed the bulk of the layoffs, cutting only several hundred older workers who held nonessential jobs," reports the Times. "Last month, the government of Heilongjiang Province, which owns Longmay, announced a $600 million bailout that would help the company repay its bonds. But analysts see the infusion as short-term relief that will not prevent a reckoning." The downturn in the coal economy is leading to civil unrest, with workers protesting and management responding by locking workers in the mines, reports the Times. Also, "Internet regulators exposed a group of workers discussing a demonstration on an online bulletin board. They were hauled to a police station, fingerprinted and warned that jail sentences would follow if they dared do it again." The number of worker strikes and labor protests in China was 2,354 through November, compared to 1,207 in 2014. 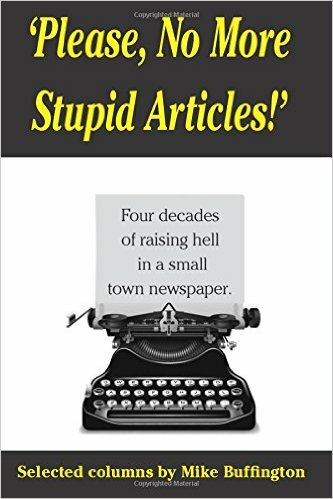 The editor of the Sentinel-Tribune, a daily family-owned newspaper in Bowling Green, Ohio, was reportedly fired for writing an editorial about gun control that the publisher ultimately refused to publish, Jennifer Feehan reports for the Toledo Blade. 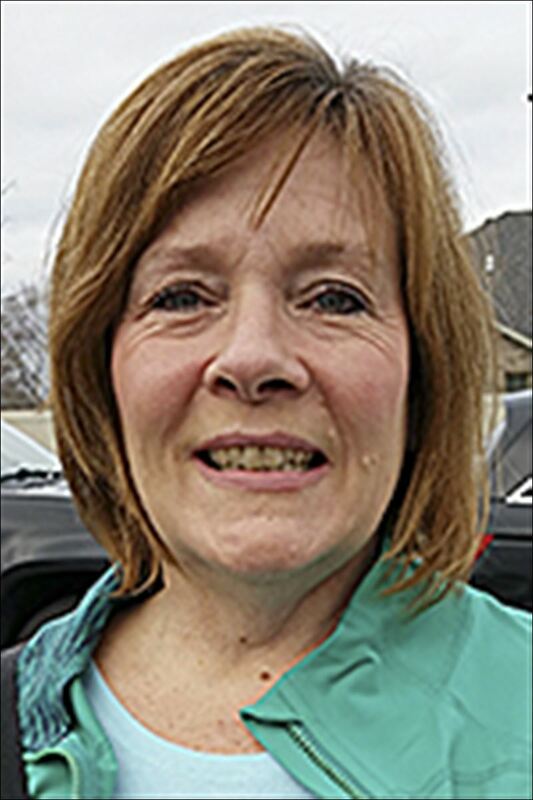 Jan Larson McLaughlin, who had been with the Tribune for 29 years and editor since 2013, "said she was handed a letter of termination accusing her of insubordination for allowing news staff members at the Sentinel-Tribune to read an editorial about the NRA that she had written, as was her normal practice." "McLaughlin said the rejected opinion piece called on responsible gun owners to reclaim control of the NRA in the wake of recent mass shootings across the country," Feehan writes. "Sentinel publisher and vice president Karmen Concannon killed the editorial and subsequently declined to discuss the matter with staff members who asked her to reconsider publishing it." Concannon's parents own the newspaper. "Congressional leaders unveiled a $1.15 trillion fiscal 2016 spending bill overnight" that includes $90 million in abandoned-coal-mine funding for Appalachian states hit hard by the mining downturn, Manuel Quiñones, Geof Koss and Phil Taylor report for Environment & Energy News. "House Appropriations Chairman Hal Rogers' (R-Ky.) original proposal was $30 million. The provision is meant to be a rolled-back version of a White House proposal to speed up the release of $1 billion from the abandoned-coal-mine reclamation fund. Another section of the omnibus includes $19 million in aid for dislocated coal-mine and power-plant workers." The Abandoned Mine Land Fund has nearly $2.5 billion, accumulated over the years in fees paid by coal companies but not spent because most abandoned mines have been reclaimed. President Obama had proposed spending $1 billion over five years to keep his promise to help areas that are economically distressed because of his anti-coal policies. When the plan stalled in Congress, local communities in the Central Appalachian coalfield began asking for its passage. "Negotiators kept an existing provision prohibiting the administration from changing the definition of 'fill material' under the Clean Water Act, a move that could restrict mining," reports E&E News. "The omnibus spending bill also includes a provision rolling back the Obama administration's moves to limit financing for overseas coal-fired power plants. The deal directs $160 million to boost demonstration projects aimed at commercializing technology to capture and reuse carbon emissions from power plants." Also in the bill "payments in lieu of taxes (PILT), a program that compensates rural counties with large blocks of tax-exempt federal lands, would receive $452 million, marking the second straight year the program has been funded through the appropriations process," reports E&E News. "While PILT is a relief for Western counties, its inclusion in the omnibus bill comes at the expense of other Interior, Forest Service and EPA investments. It used to be funded through mandatory dollars." Also included is a three-year re-authorization of the Land and Water Conservation Fund, funding the program for $450 million in fiscal 2016, a significant increase over the current level of just over $300 million, reports E&E News. Legislation also "includes increases for fossil fuel and nuclear research and development, including $632 million for coal, oil and natural gas." The bill’s country-of-origin labeling (COOL) "provision would gut a law that was first enacted as part of the 2002 farm bill," reports Agri-Pulse. "In a small victory for supporters of the COOL law, the spending bill would leave in place the labeling requirements for chicken, while eliminating the rules for beef and pork. Those were the two commodities at the center of the WTO case in which Canada and Mexico recently won approval to impose more than $1 billion in retaliatory tariffs against U.S. exports." "The bill also won’t stop the Obama administration from enforcing its new 'waters of the United States' (WOTUS) rule if a court stay is lifted," reports Agri-Pulse. "The WOTUS rider was a top priority for many farm groups and developers, who said the rider was needed as insurance should the courts allow the administration to start enforcing the rule, which re-defines the jurisdiction of the Clean Water Act. However, the White House strongly resisted including it, lawmakers said." Agri-Pulse is subscription-only but offers a four-week free trial. Senate Minority Leader Harry Reid (D-Nev.) "said the final sticking point Tuesday was Republicans' demand to lift a 40-year ban on the export of U.S. crude oil," Erin Kelly reports for USA Today. "Democrats agreed to lift the ban but only after they apparently won a five-year extension of tax credits for wind and solar energy. They also beat back Republican efforts to derail President Obama's clean air and climate change regulations." The bill also includes "provisions to ensure reimbursement policies don't change for mammograms and to exempt some rural long-term care hospitals from a billing change related to treating severe wounds," Erin Mershon reports for Politico. The House is expected to vote on the spending bill on Friday. Davis said "questions about donations were inappropriate for a mandatory agricultural survey, and other Republicans on the panel agreed,” reports Agri-Pulse. Rep. Ted Yoho (R-Fla.) "called the survey questions ‘offensive.’" Rep. Austin Scott (R-Ga.) "told the hearing’s sole witness, NASS Administrator Joseph Reilly, ‘it’s none of your business how much money (landowners) are giving to charity.’” Rep. Dan Newhouse (R-Wash.) expressed concern that the length of the survey would cause some farmers to refuse to answer. Reilly said the survey’s "list of questions helped NASS 'gather a full economic profile' for American family farms," reports Agri-Pulse. "He also said the agency does 'everything possible to secure the information' gleaned via surveys from being made public." Producers who refused to complete the survey, or ignored it, could face a $100 penalty. Agri-Pulse is subscription-only but offers a four-week free trial. Rural children are more likely than their urban peers to experience health problems based on "their environment, their socioeconomic status, their own and their families’ health behaviors, and their access to quality clinical care," says a report by the Department of Health and Human Services. The research, which included samplings of journal publications, found that rural children are more likely to be obese and live with someone who smokes. Almost one in four rural children ages 4 to 17 has the potential for a mental health problem, but as many as 80 percent of those children live in areas that lack services, states the report. Another problem is access to dental care, with about 75 percent of areas with inadequate dental care located in rural areas. Rural women also lack access to prenatal and postnatal care. Rural counties average 2 obstetricians per every 1,000 women, compared to 35 obstetricians per every 1,000 women in urban areas. Some rural areas also lack hospitals with obstetric services. The report also looked at the effects of asthma on children in rural and urban areas. The report offers suggestions to break down barriers for healthy living for rural children. It suggests that communities, schools and child care facilities can encourage healthier eating and increased physical activity through education and supportive environments. 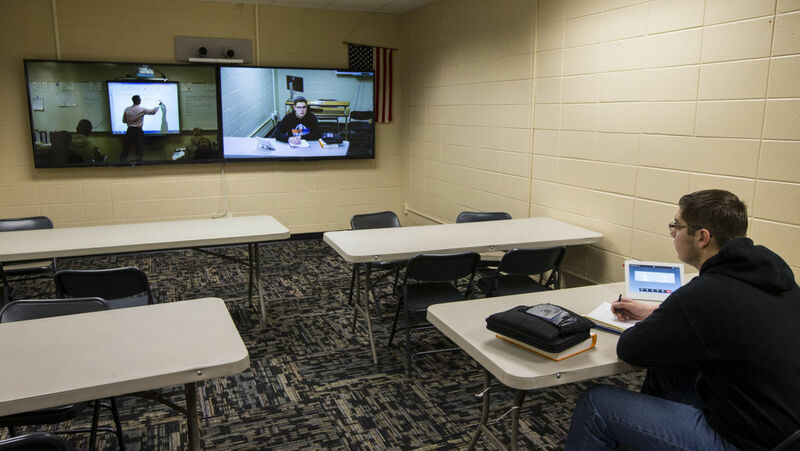 Telehealth and school-based health centers can provide greater access to behavioral health services. Oral health in rural children can be improved by increasing access to preventive treatments, such as by changing Medicaid reimbursement policies to increase the number of providers. Greater access to prenatal and postnatal can be increased through home visiting programs and telemedicine. Also, school and home-based programs can help address asthma. "The epicenter of happiness for Smith has been in his home county, where watch parties for 'The Voice' episodes have grown to hundreds of people the past few episodes and [Judge-Executive Dan] Mosley declared November Jordan Smith Month," Rich Copley reports for the Lexington Herald-Leader. "Mosley said support for Smith can be seen all over the county, in signs, billboards, T-shirts, even a Christmas tree at Appalachian Regional Healthcare Hospital decked out in Jordan Smith ornaments." Mosley said Smith's win, and his story that dreams do come true, is especially important in Harlan County, an area hit hard by poverty and decline of its coal industry. The homeless rate in Harlan County is 26.21 percent, and only 27 of the 87 licensed mines are active, producing 4.6 million tons of coal last year, the lowest total since 1920. 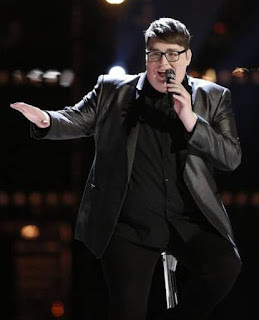 In the blind auditions, Smith "stunned the judges with his rendition of Sia’s "Chandelier," sparking a fierce competition between judges Gwen Stefani and Adam Levine to be on their teams," Copley writes. "Smith chose Levine, who told Smith, 'I think you’re the most important person that’s ever been on this show' and has enthusiastically been in the singer’s corner throughout the competition." "In subsequent rounds, Smith beat out competitors who had already had professional singing careers to enter the show’s live competition where he took on a variety of genres, from rock to pop to hymns to showtunes, and mastered them all," Copley writes. "Throughout the competition, the show’s judges showered him with praise. Smith also made unprecedented runs for The Voice competitors on the iTunes Top 100 Songs chart. On the show, iTunes sales count as votes, and making the Top 10 multiplies votes." 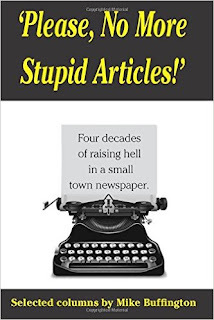 Smith's hometown paper, the Harlan Daily Enterprise, has been following his progress since he first appeared on the show. To read the stories, click here. The number of inmates being incarcerated in rural jails is on the rise, surpassing totals from urban ones, Max Ehrenfreund reports for The Washington Post. The Vera Institute of Justice says that since 1970, "the jail population has expanded sevenfold in small counties, more than twice as fast as it has in large counties. On a typical day in 2014, those large counties had an average of 271 inmates in jails per 100,000 people between the ages of 15 and 64. In small counties, the figure was 446 inmates." Also, in 1978, the average stay in jail was nine days. Now it is more than three weeks. The report, which used data from California and New York, "focused on locally administered jails rather than prisons," Ehrenfreund writes. "While policymakers and the press discuss prisons more frequently, local jails are where the vast majority of Americans who are locked up go. Jails accounted for a little more than 11 million admissions annually, while state and federal prisons recorded just 627,000 admissions last year." 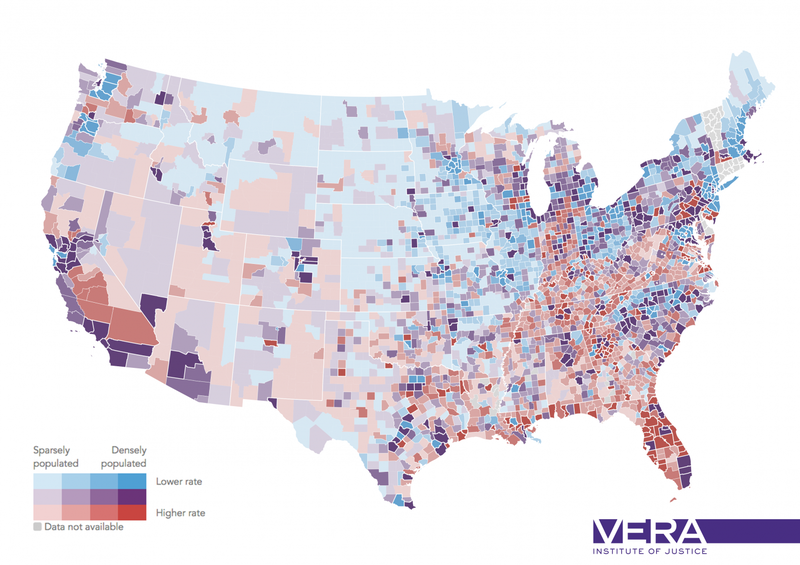 The institute's preliminary analysis "indicates that the pattern of increasing rates of incarceration in suburban and rural counties holds when prisons are included, too." Wisconsin has become the 12th state to join the Interstate Physician Licensure Compact, a move proponents say will expand health care in rural areas, Mike Tighe reports for the LaCrosse Tribune. Republican Gov. Scott Walker signed the law on Monday allowing Wisconsin to join the pact, which "eliminates much of the red tape and costs required for doctors licensed in one state to gain credentials in the 11 other member states." In states that have not joined the pact, "doctors have had to follow the time-consuming process of submitting full applications and paying a substantial fee in each state where they want licenses," Tighe writes. States in the pact "will be able to licensed in what they designate as their home state and use that paperwork to gain credentials in other states." "An appeals court has upheld the Obama administration’s sweeping mercury pollution rule for power plants, despite a Supreme Court decision against the regulation," Timothy Cama reports for The Hill. "The Court of Appeals for the District of Columbia Circuit ruled Tuesday that the Environmental Protection Agency is allowed to enforce the air pollution regulation while it works to fix the flaw identified by the high court." In June the Supreme Court ruled "that in developing the mercury and air toxics standards, EPA violated the Clean Air Act by not considering the compliance costs to electric utilities," Cama writes. "The agency did consider costs in writing the rule, but the justices decided that a unique provision in the law requires a cost-benefit analysis before even starting to write it. The Supreme Court did not overturn the rule and left it to the Circuit Court to decide its fate." EPA has promised to fix the problem by April 16, 2016. 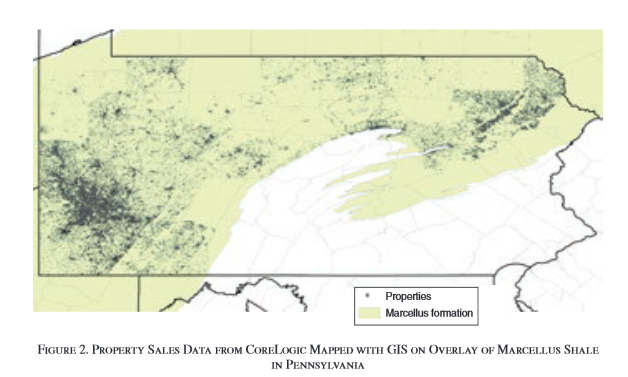 Researchers examined home sales in 36 Pennsylvania counties between 1995 and 2012, Jones writes. The study found that "among homes that rely on well water, a shale well located within one kilometer was associated with a 13.9 percent average decrease in home values. But if the nearest shale gas drilling site was at least two kilometers away, property values remained constant. In neighborhoods with a piped water supply, meanwhile, home values rose slightly after shale wells opened, perhaps due to royalty payments by shale gas companies." The Environmental Protection Agency's social media campaign to promote its Waters of the U.S. (WOTUS) rules "violated legal provisions barring federal agencies from engaging in congressional and grassroots lobbying," said the Government Accountability Office, Annie Snider reports for Politico. "In particular, auditors concluded that the agency's use of a 'Thunderclap' campaign constituted 'covert propaganda.' The campaign encouraged users to redistribute messages in support of the rule without identifying the EPA as the source of those messages." Friday is the deadline to apply for up to 15 fellowships available to working journalists to attend the 11th annual John Jay/Harry Frank Guggenheim "Making Room for Justice: Crime, Public Safety and the Choices Ahead for Americans" two-day conference on Feb. 25-26, 2016 at John Jay College of Criminal Justice in New York City. The Quattrone Center for the Fair Administration of Justice is also sponsoring "up to four fellowships for qualified and experienced journalists who are interested in developing projects (or have projects underway) in the area of reforms of court procedures," states John Jay. "The H.F. Guggenheim conferences are designed to bring together journalists, policymakers and practitioners for candid briefings and dialogue on emerging criminal justice issues," states John Jay. "Applicants’ projects should be related to work in progress or proposed work slated for publication. The project should be supported by a senior editor, with a letter attesting to their commitment to publish the final work. Freelancers are encouraged to apply. Their work will be also be published on The Crime Report, a national criminal justice news service published by Center on Media, Crime and Justice and Criminal Justice Journalists." Fellows are required to attend both days of the conference, states John Jay. Those from outside the New York area "will be awarded an all-expense-paid trip to NYC, including travel and transportation. New York-region journalists will be awarded a $300 stipend to be used toward their proposed news project in lieu of travel expenses." Applications should include a 150-word biography, a 300-word project pitch and a supporting letter from editor. For more information or to apply for one of the fellowships, click here. The U.S. Department of Agriculture on Monday finalized a rule requiring producers of raw ground beef to keep records of where the meat came from, Lydia Wheeler reports for The Hill. The rule was designed to help the Food Safety and Inspection Service (FSIS) "improve its ability to determine the source of foodborne illnesses linked to ground beef and to stop the outbreak from spreading." FSIS said investigations have been hurt by retail stores mixing product from various sources and failing "to keep clear records that would allow investigators to determine which supplier produced the unsafe product." "Under the rule, all establishments and retail stores that grind raw beef products will be required to keep record of the establishment numbers of establishments supplying material used to prepare each lot of raw ground beef product; all supplier lot numbers and production dates; the names of the supplied materials, including beef components and any materials carried over from one production lot to the next; the date and time each lot of raw ground beef product is produced; and the date and time when grinding equipment and other related food-contact surfaces are cleaned and sanitized," Wheeler writes. Federal investigators say a conspiracy existed in Kentucky "to defraud thousands and possibly millions of dollars" from the federal crop insurance program, Greg Kocher reports for the Lexington Herald-Leader. "The alleged conspiracy involved Central Kentucky tobacco farmers, crop insurance agents, crop insurance adjustors, tobacco warehouse owners/employees and others" in a scheme to profit from false insurance claims for losses of tobacco. The investigation began in 2012 when the Risk Management Agency, an arm of the U.S. Department of Agriculture, "received a tip that a Kentucky farmer had been committing crop insurance fraud with the help of an insurance agent and an insurance adjustor," Kocher writes. "The allegation was that the farmer received $68,000 on a corn crop that was not even planted" and that he had 400 acres insured in other farmers’ names. In 2013, another anonymous complaint alleged that an insurance agent "approached a farmer and offered to 'give them a good insurance claim,'" Kocher writes. "The agent allegedly offered to do an appraisal for a small amount, and then the farmer could 'sell his tobacco for cash or destroy it.' The farmer was to pay the agent 25 percent of the proceeds. The investigation also determined that certain producers consistently under reported their tobacco production in order to cause an insurable loss payment. There was also evidence that certain producers funneled money through different accounts to conceal their source and nature." 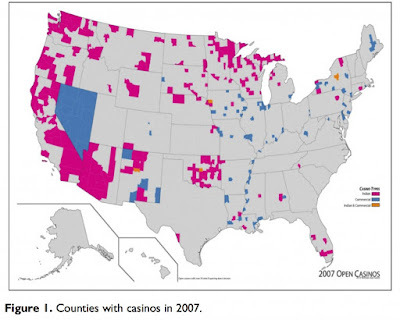 Revenue increased in non-Indian counties that opened casinos from 1987 to 2007—a period in which the number of states to legalize gambling went from 2 to 33—says a study by the University of Nevada published in SAGE Journals, Vyasan Radhakrishnan reports for Journalist's Resource. For all counties—many of them rural—"when a commercial casino is opened, the county showed an increase of 7.8 percent in per-capita revenues and 8.1 percent increase in per-capita expenditures. However, for all counties with Indian casinos, the opening of Indian casinos led to a decrease in per-capita county revenue by 3.6 percent and a decrease of 4.6 percent in per-capita county expenditure." "Casino counties had significantly lower per capita sales tax revenues irrespective of the presence of casinos," Radhakrishnan writes. "Casino openings in those same counties had no significant association with county sales tax revenues. Casino counties showed a decrease in per-capita education expenditures by 6 percent when Indian casinos were opened in these counties. There is, however, no statistically significant impact on education expenditures when commercial casinos are opened in casino counties." While rates of opiate addiction and HIV infections are on the rise in rural areas, those areas have a severe lack of prevention services, says a study by the Centers for Disease Control and Prevention. 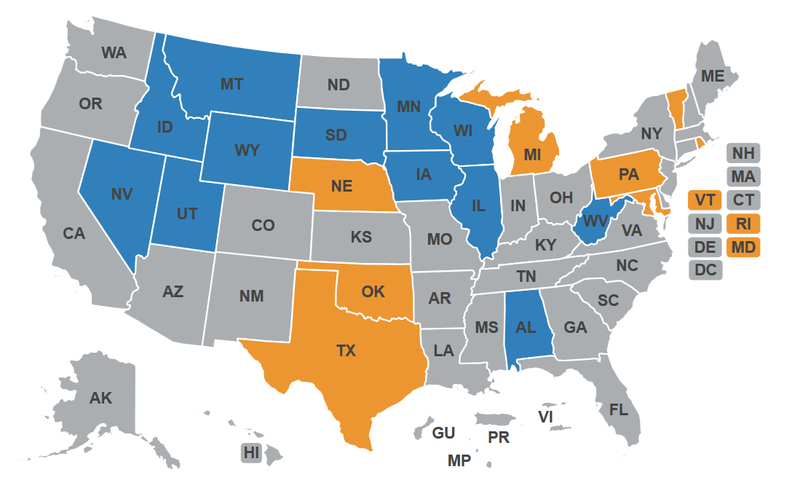 In March 2014, the U.S. had 204 syringe service programs (SSPs). Of the 153 that participated in the CDC survey, only 20 percent—30 of 153—were located in rural areas, and just one was in the South. 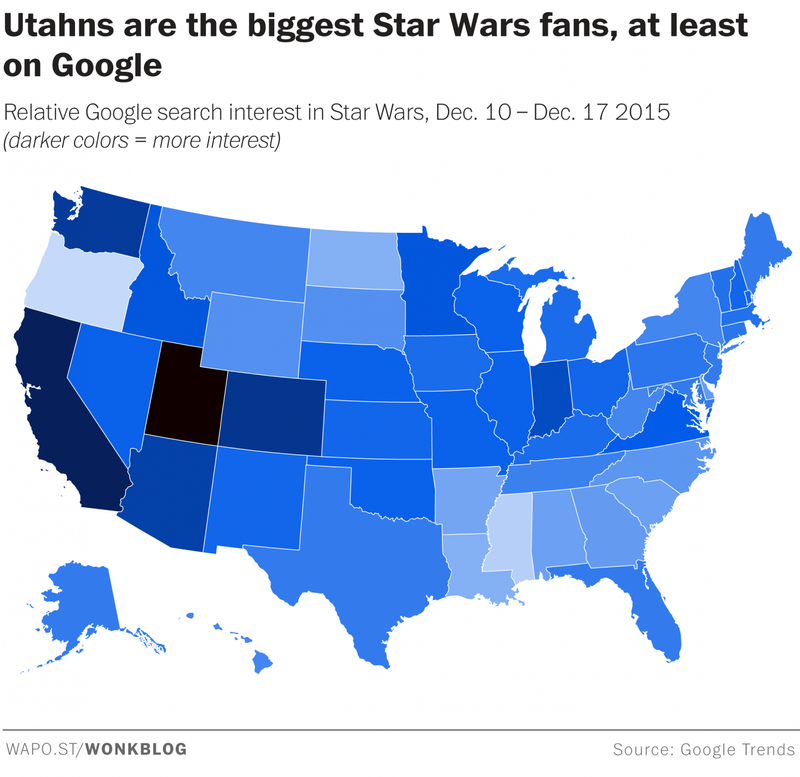 Of the rest, 18 were in the West, six in the Midwest, four in the Northeast and one in Puerto Rico. The report found that 2,654,551 syringes were exchanged in rural areas, compared to more than 31 million in urban areas. 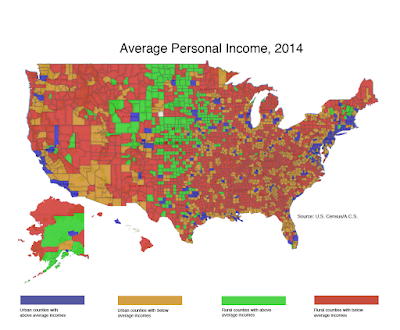 Rural programs had an average budget of around $26,000, compared to $184,000 for urban ones, with urban areas accounting for 83 percent of all budgeted money for programs. Most SSPs offered HIV counseling and testing (87 percent rural, 90 percent urban) and hepatitis C (HCV) testing (67 percent rural, 78 percent urban). Few SSPs reported having referral tracking systems for HCV-related care and treatment (33 percent rural, 44 percent urban). Rural SSPs were less likely to provide naloxone for reversing opioid overdoses, with 37 percent offering the service, compared to 61 percent of urban programs. Don Des Jarlais, Professor of Psychiatry and Preventive Medicine at Icahn School of Medicine at Mount Sinai and lead author of the study, wrote: "Syringe service programs have been very effective in reducing HIV transmission in the U.S. and throughout the world. Our data show that rural and suburban SSPs face some special challenges in recruiting clients, funding and staffing but that these programs can provide the needed services when they are implemented. The biggest problem is simply that we do not have enough of them in rural and suburban areas. State and local governments can save lives by extending these programs." Winter means an increase in reports of flu and colds and other ailments that send people scurrying to the doctor or the pharmacist in search of remedies. 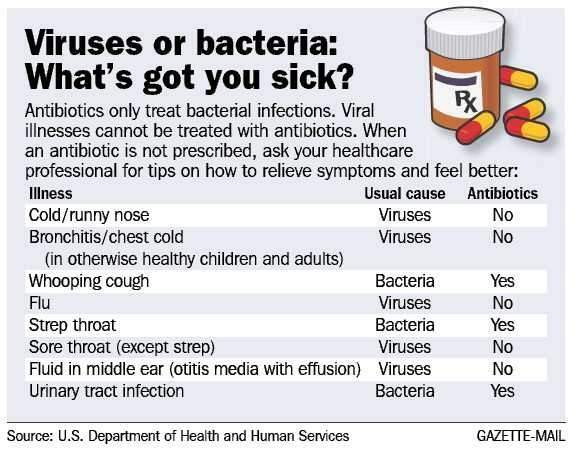 But it's also a good time to remind—or educate— readers that antibiotics do little to combat viruses. The Centers for Disease Control and Prevention says antibiotics should be used to treat bacterial infections, like whooping cough, strep throat and urinary tract infections, Kersey writes. 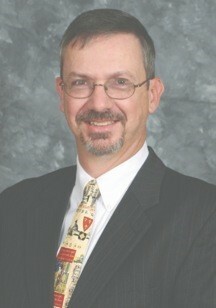 "There are very few antibiotics that work on viruses, Ridenour said. 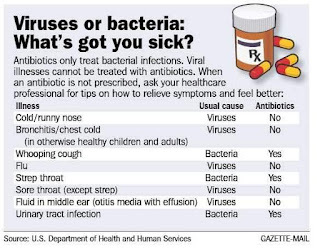 Instead of antibiotics, people should treat their symptoms by staying hydrated, taking cough suppressants and decongestants, and waiting, he said." He said physicians often prescribe antibiotics for viruses because it's easier than trying to explain to them that they don't need it. He said antibiotics won’t hurt a person in the short term but over time can make germs resistant to the antibiotics. Officials in the rural town of Nassau, New York, (Best Places map) voted last week to ditch the electrical grid and switch to 100 percent renewable energy by 2020, Scott Waldman reports for POLITICO New York. "If all goes as planned, within the next four years, all six of the town buildings will be disconnected from the grid, Nassau supervisor Dave Fleming said. The town is now formulating a plan for how to get all its power from renewables within the next four years." "Using the rooftops of town buildings and a nearby landfill that has been capped to house solar panels will give the town all the energy it needs, which in turn will provide greater public safety and lower tax bills, Fleming said," Waldman writes. "The town can also use methane from the landfill and is in a wind corridor that will provide productive turbines, he said." Department of Public Services spokesman Jon Sorensen said Nassau's plan can serve as a model for the rest of the state, as part of Democratic Gov. Andrew Cuomo's Reforming Energy Vision initiative, which "is actively working to help municipalities—especially towns and schools—move toward getting a significant portion of their power from renewable resources," writes Waldman. Sorensen said "REV is designed to make the energy grid more efficient and increase its reliance on renewables, and it is intended to give consumers more choices than they have now." He told Waldman, “This is exactly the kind of thing REV is hoping to encourage. Smaller, cleaner power systems are less costly and cleaner alternatives to the bigger power stations that have made up the power grid." 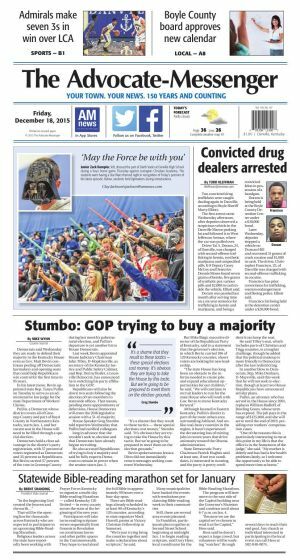 Citing a lack of need for a daily newspaper, The Oklahoma Daily, the student paper at the University of Oklahoma, announced on Friday that it will decrease publication from five days per week to two days per week. 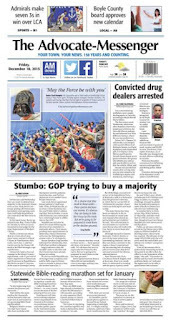 Beginning in January, print editions will only be available on Mondays and Thursdays. "It’s no secret that print newspapers have lost their essential value," states the editorial board. "We all know this. Hundreds of copies remain in the racks at the end of each night on this campus. The need for information can no longer wait until the next morning because it’s never more than a tap away on your phone. We’ve embraced this 'news now' mentality, and our online platform reflects that. A less frequent print product doesn’t mean a less frequent Daily. Our already established digital first mindset will only become more precise and efficient."